It seems that time has stopped in Cuba… somewhere in the 1950’s! It’s not just the old American cars in the streets (although I must admit that’s something I want to see). Instead, it’s the simple fact that tourism has somehow largely bypassed the Caribbean’s largest island. Let’s face it, once tourists start flocking to an area in droves it becomes more and more commercialized and ultimately these places lose their authenticity charm! It's only a matter of time before all American-imposed travel barriers fall and millions will venture to Cuba via a quick flight from Miami. I want to get there before that happens! 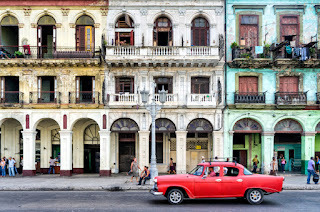 The architecture in Cuba is amazing! 16th century Spanish settlers adapted their native style of architecture to the climate found in Cuba, resulting in buildings painted in lovely pastels designed with grand covered porches, iron bars over window frames to allow the breeze in and multi color glass panes. Photographs show an eclectic assortment of colonial, baroque, neogothic, neoclassical, art deco, modern and post-modern architectural styles. I’d love to be let loose with my own camera! 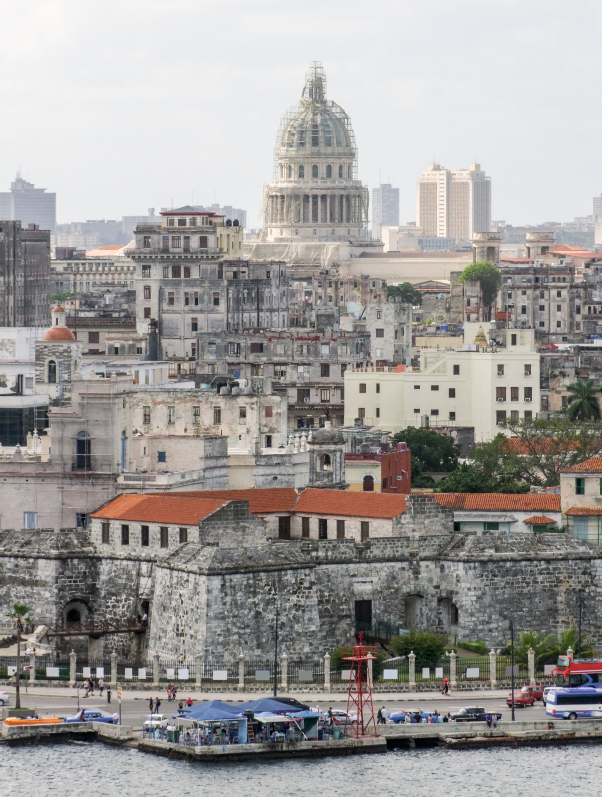 Cuba is home to nine UNESCO world heritage sites; places that are of special cultural or physical significance. 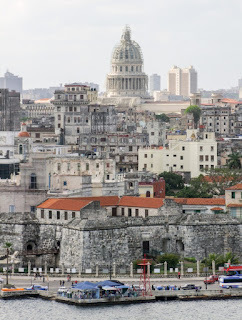 For example, Havana’s Old Town, also known as La Habana Vieja, is one of the most historically significant cities in the Americas. Another site worthy of a visit is San Pedro de la Roca Castle in Santiago de Cuba. It is one of the most complete and well-preserved Spanish-American defense fortifications and a stunning visual fort that protected the port of Santiago. Music and dance have always been a way of life in Cuba; the Afro-Caribbean rhythms of son, salsa, cha-cha and rumba. 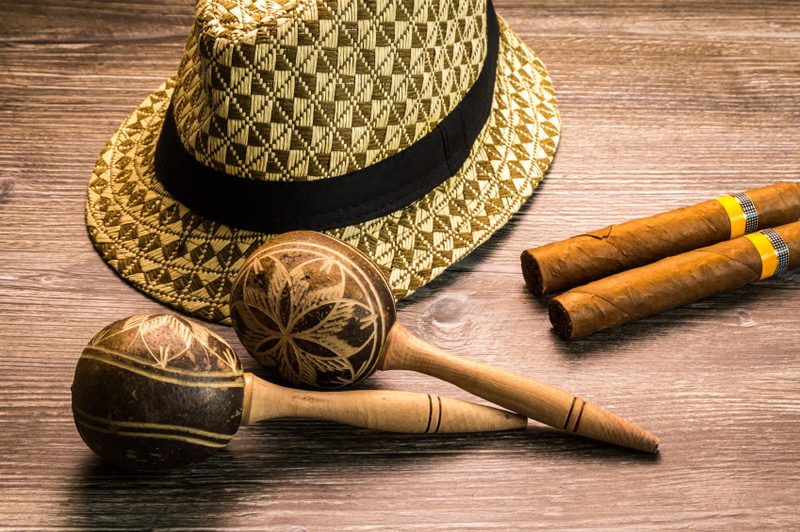 Cuban music has been described as the marriage between the African drum and the Spanish guitar. The island has produced dance music that has traveled all over the world. I’d love to visit those small venues found in every town to immerse myself in its pulsating and intoxicating rhythms of the island! 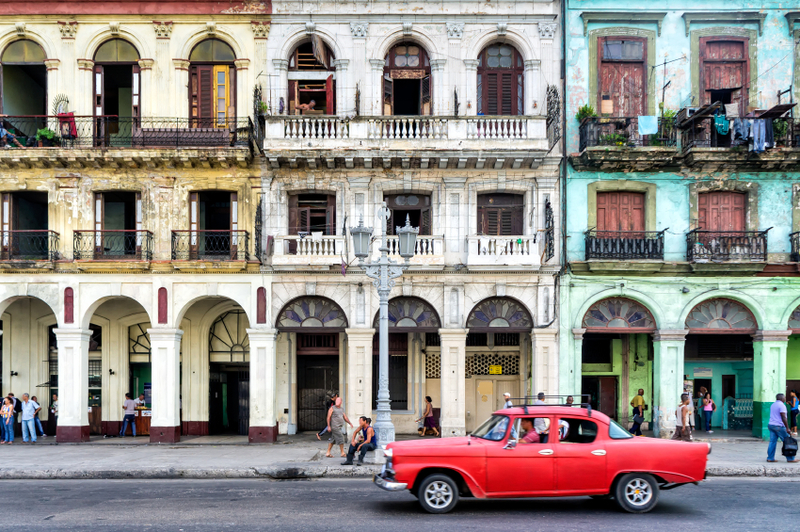 For some, cruising Cuba is about bragging rights! No, not me…well, maybe a little! Lets face it, going to an island “where no man has gone before” is pretty neat! Okay, maybe that’s a bit dramatic, but going to an island where it was actually illegal to set foot on for over 40 years makes for a very special cruise vacation!